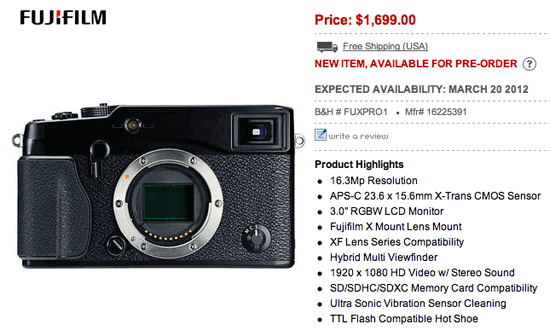 B&H updated their expected availability for the Fuji X-pro 1 to March 20, 2012. Update: some new X-Pro1 samples were posted by LensTip. Check also my Fuji X-Pro1 report from CES 2012.